Spring is officially here! Also great to be able to watch some Cleveland Indians baseball as well! City government remains relatively busy with a number of things to report on below. Some highlights from the Council Meetings for the month of March. 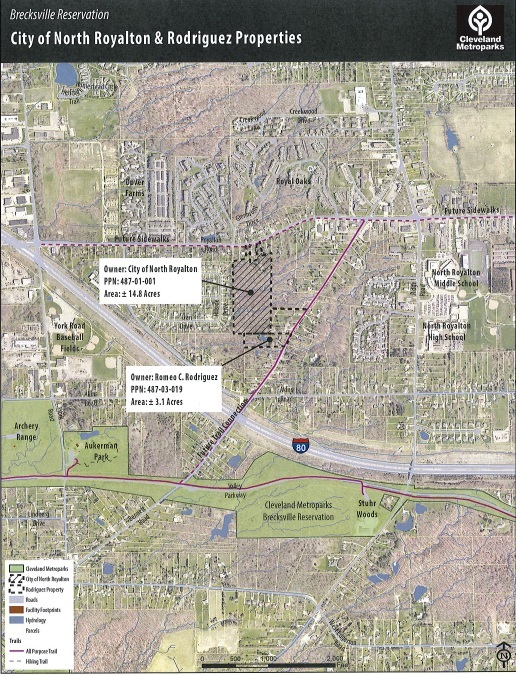 Council approved Ordinance 19-12 authorizing the transfer of property owned by of the City of North Royalton on Bennett Road to the Cleveland Metroparks for a new public park. Read More. Council approved Ordinance 19-13 regulating short term rentals by a 5-2 vote. I am glad to see this legislation I co-sponsored was passed into law by the majority of Council that will both keep our neighborhoods safe while still respecting property owner rights within reason to make some extra income. No one wants to see residential homes being turned into motels. Read More. Council also approved Resolution 19-28 authorizing the Mayor to enter into a final contract with the Ohio Department of Transportation for the construction of sidewalk from City Hall on State Road to Royalton Road and State Road. 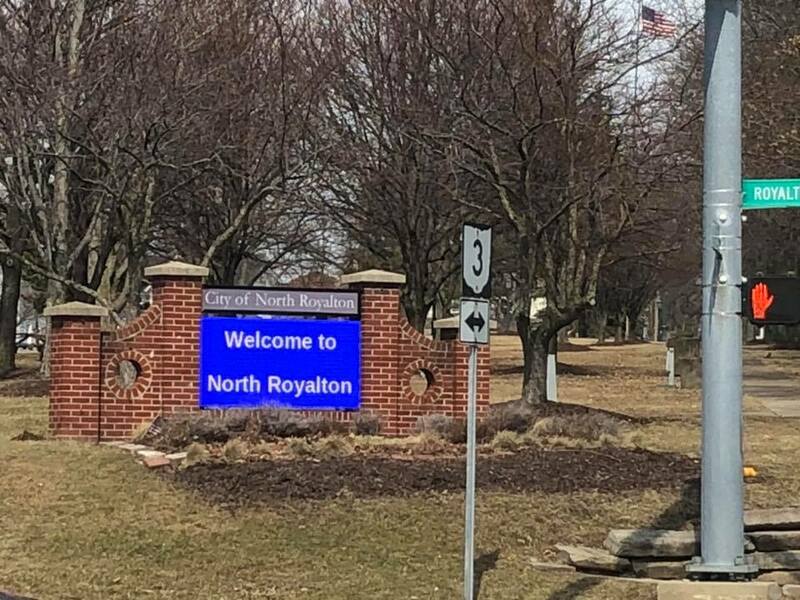 Council approved Ordinance 19-30 selling the city’s old compost facility property to the North Royalton City School District for their bus garage. Read More. (Note this is the same property the City has been leasing to the School District the last few years on Royalton Road for their bus garage). As Chairman of the Safety Committee at the request of the Council President Antoskiewicz we had discussion on Police Body and Dash Cameras at our March meeting. It was a very positive discussion. The administration is looking at a number of options and will provide a recommendation back to our committee soon which types would be good to go with as a city. Read More. The administration recently announce they plan to spend $1.4 million dollars for the 2019 City Road Repair Program. The roads that are going to be done are Bunker Road between Ridge and State roads; Maple Lane; North Akins, which lies between state Route 82 and Bennett Road; and Akins Road between Ridge and State roads. The city will also be doing in-house crack sealing, and other repairs throughout the city. 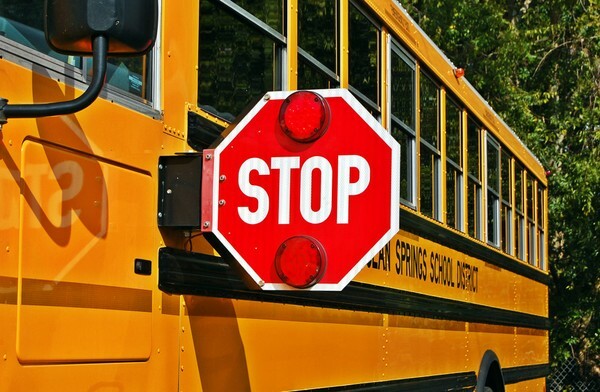 Here in Ward 3 they will be especially focusing on repairs to Abbey Road from Route 82 to Albion Road and portions of Albion Road from Abbey Road to Ridge Road. Read More. The city recently has been awarded another energy efficiency grant from the Northeast Ohio Public Energy Council (NOPEC), in the amount of $121,350, which the city will be investing into holiday lighting upgrades. Read More. The City’s brand new digital sign is up and running on the city green which can be seen at the intersection of Route 82 and Ridge Road. The North Royalton Produce Market is farmers’ market-style stand, which is part of a new cooperative effort of the Greater Cleveland Food Bank. 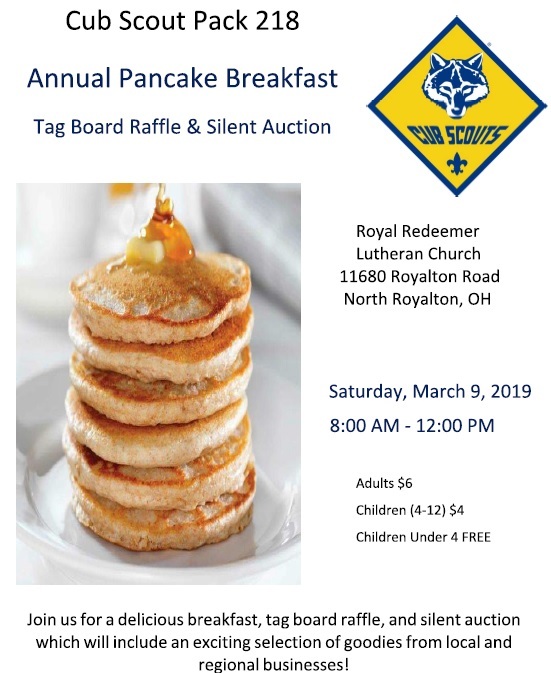 They have partnered up with the City of North Royalton, St. Albert the Great Church, Royal Redeemer Lutheran Church and Abundant Life Community Church to provide this program for our community. This produce stand will be open once a month from 1 p.m. until the food is gone (no later than 3 p.m.) beginning April 9 and continuing May 14, June 11, July 9, August 13 and September 10 at the York Road Recreation Field pavilion, 14631 York Road, just south of state Route 82 on the east side of York Road. For more information contact the city Office on Aging and Human Services at (440) 582-6333. Read More. Just a reminder parents who have kids at the North Royalton High School and Middle School. 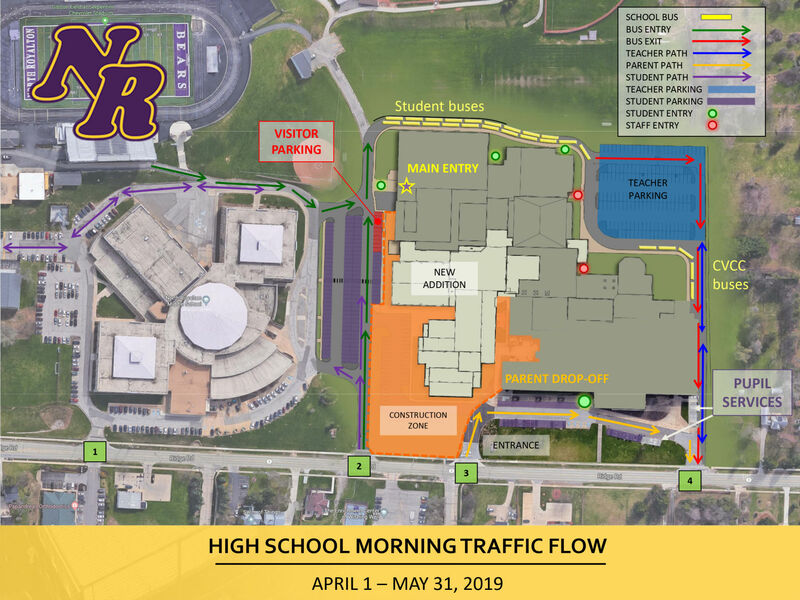 Traffic and parking changes have begun due to construction for the high school building renovation project. Click Here to learn more about the changes. 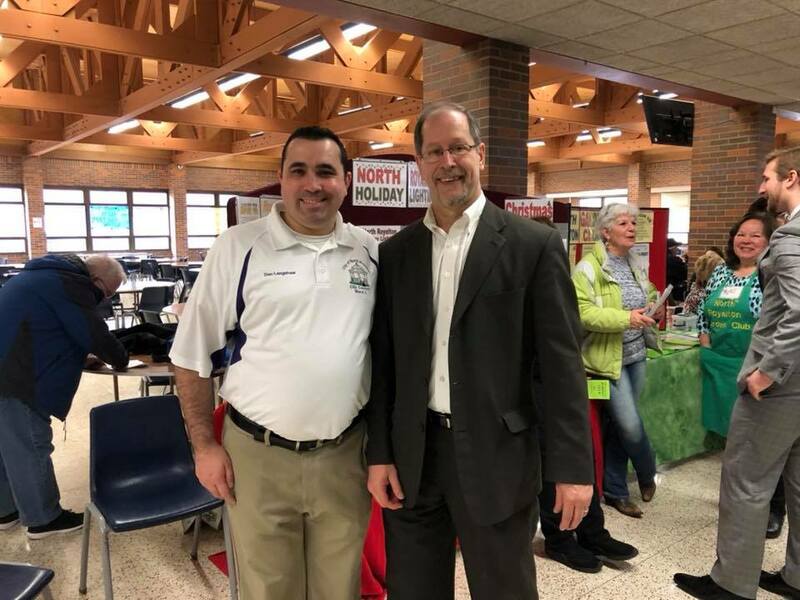 On March 2nd I organized with Council President Larry Antoskiewicz the first ever North Royalton Service Clubs Open House at the North Royalton High School Cafeteria 1! Many clubs gained new members and it was a huge success. A big thank you to all the Service Clubs for participating! Special thank you to Augie’s Pizza & Catering for donating food & refreshments! We hope to possibly do this again next year as annual event! If you couldn’t make the event but are interested in joining a club Click Here to watch the Facebook video I made of the event with each club giving a brief introduction on what they do. Read More. 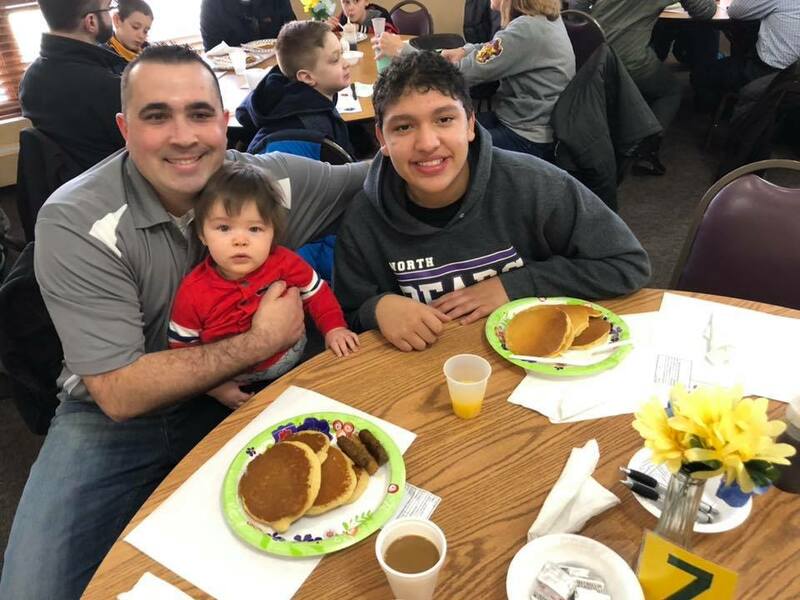 On March 9th my boys and I had a fun time at Cub Scout Pack 218 Annual Pancake Breakfast! Thank you to Cub Scout Pack 218 for all the great things they do in our community! Also on on March 9th attended the Royalton Hills Lions Annual Dinner & Poor Man’s Reverse Raffle. Thank you to the Royalton Hills Lions for all the great things they do for our community! 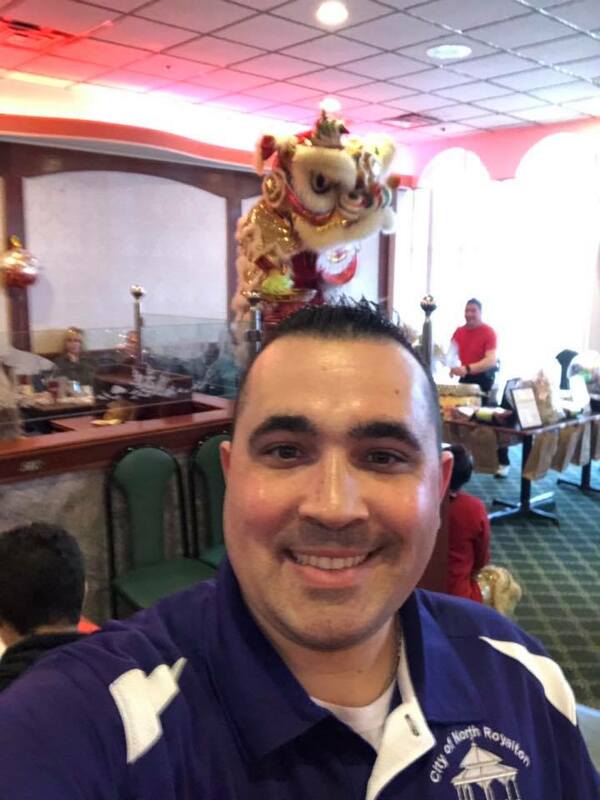 On March 10th I had a great time at the North Royalton-Broadview Heights Rotary Club’s 14th Annual Lunar New Year Fundraiser! Thank you to the Rotary for all the great things they do in the community! Also Happy Chinese New Year of the Pig! On March 18th attended the North Royalton Senior Center St Patrick’s Day Luncheon sponsored by Mayor Stefanik! It was great to see a number of Ward 3 residents having a fun time at the luncheon and catch up with them. 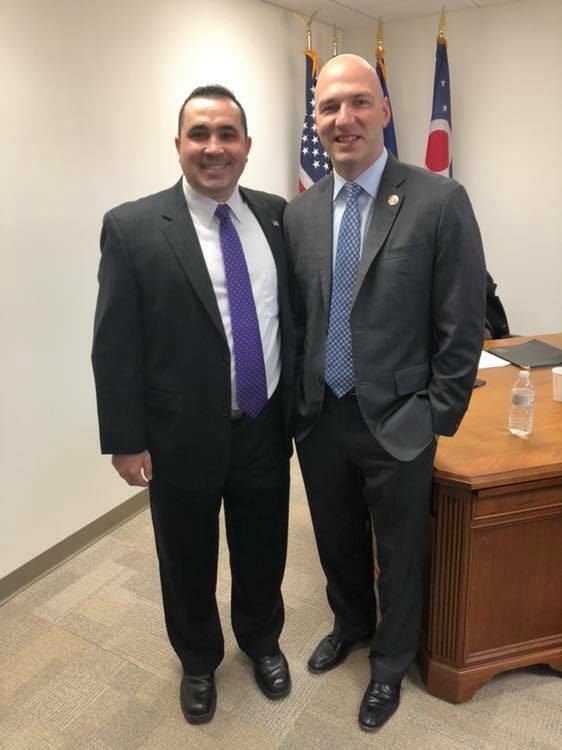 On March 19th I attended our Congressman Anthony Gonzalez’s Grand Opening Event of his Strongsville Congressional Office. It was nice to meet him and I look forward to working with him in addressing the needs of our city and Ward 3. 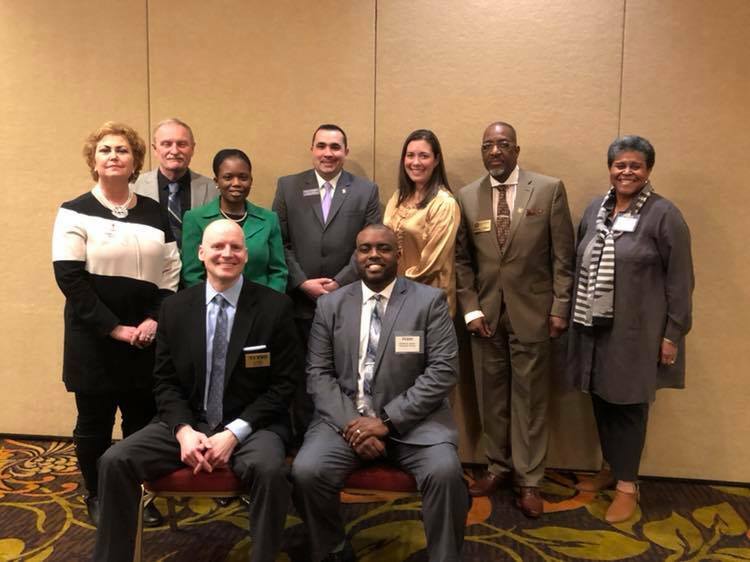 On March 21st attend the Northeast Ohio City Council Association’s March Forum that featured a panel discussion about Workforce Development, Education, Equity, and Transportation. I learned a lot of great new information. Also on March 21st I was elected as the new Treasurer for the Northeast Ohio City Council Association at their Annual Membership Meeting held at the Doubletree by Hilton in Independence. The Northeast Ohio City Council Association (NOCCA) is a regional organization made up of elected municipal, township and village council members that are dedicated to developing solutions towards common regional issues and concerns. There are approximately 300 members representing over 40 communities throughout Northeast Ohio. I have been a member of NOCCA for six years and am excited about the opportunity to be in a regional leadership position with such a prestigious organization. It is my hope to building upon my efforts to work collaboratively with other elected officials throughout Cuyahoga County to advocate for common issues that effect all communities. I have gotten some complaints recently from Ward 3 residents about the increased traffic and congestion at the intersection of York Road and Albion Road due to the Route 82 construction. Since 2013 and even before my late predecessor Councilman Don Willey has looked for possible solutions for the intersection from a possible widening of the road, adding a lane, or even a new traffic control system all of which then and still remain not economically feasible. When there is possible funding available I have advocated for something to be done. In a few years the traffic pattern will change when Albion Elementary School is demolished and no longer in use due to the new centralized elementary school being built on State Road and Valley Parkway. Which will help decrease congestion. However as Chairman of the Safety Committee I brought the issue up again this time at our March Meeting since the Route 82 widening project has begun and it is worth looking at this again. I requested that the administration see if some possible solutions could be changing the timing of the lights or even having an officer do some traffic control during peak times to help with the flow of traffic. The Safety Director and Police Department Traffic Unit will take a look at this again and return back with some recommendations. I will keep you posted. As your Councilman I get reports from the Building Department on various violations by Ward 3 property owners, which city building inspectors have found during their inspections. A common violation I start to see this time of the year as the weather gets warmer is of non-compliance with Section 660.14(a) (b) (c) (d) of the Codified Ordinances of North Royalton titled “Weeds and Grass”. A majority of these are properties that appear to be either vacant or in foreclosure, in which the grass has not been cut or the weeds have become overgrown. Here are some helpful reminders about what property owners are required to do for exterior maintenance of their property. Property owners are required to cut any weeds, grass, underbrush and non-edible grass or woody vegetation in excess of 6 inches. Ensure that any ditches are kept clear of any type of grass, underbrush in excess of 6 inches. Exterior of property areas of all premises and lots shall be kept free of any debris, objects, material or conditions which may create a health, accident or fire hazard. The exterior of every structure or accessory structure including fences, shall be maintained in good repair and all surfaces shall be kept painted. Storing abandoned or junk vehicles on your property is not allowed. If you know of any properties like this in our Ward that may have an issue, please report them to the Building Department at 440-582-3000. 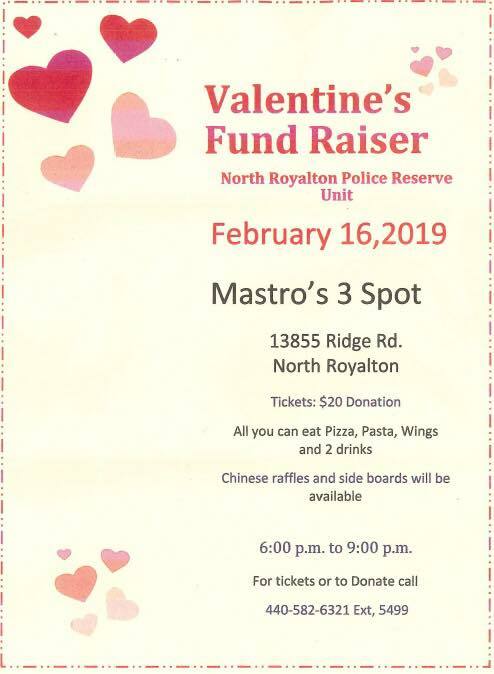 North Royalton Police Department on the Non-Emergency Phone # at 440-237-8686 so they can check them out. As you know I fought hard to increase the penalty of people soliciting without a permit and want to keep our neighborhoods safe. Read More. If you do need a reliable address sign the North Royalton Fire Department does them for residents. They offer a reflective metal address sign that can be attached to your mailbox that can be seen by emergency responders year round in any weather. The cost for the sign is just $15.00 to cover the cost of materials. The Fire Fighters will even install the sign for residents if they are unable to do so themselves. Click Here if you are interested purchasing one. Can your old computer be recycled? Yes, the City of North Royalton offers year-round collection and recycling of computer equipment to our residents Click Here to learn more. Computer equipment can also be delivered to RET3 job corp., a non-profit computer recycler located on the east side of Cleveland. RET3 job corp. is located at 1814 East 40th Street in Cleveland. Drop-off hours are Monday through Friday at the rear of the building from 8:00am-3:00pm. Contact RET3 job corp. at 216-361-9991. Equipment that can be recycled via this program includes desktops, towers, laptops, monitors, keyboards and peripherals, printers, modems, tablets, e-readers, telecom devices, networking equipment, cables, cell phones, and video game systems. Hosts Needed Still for Ward 3 Neighborhood Meet & Greets? 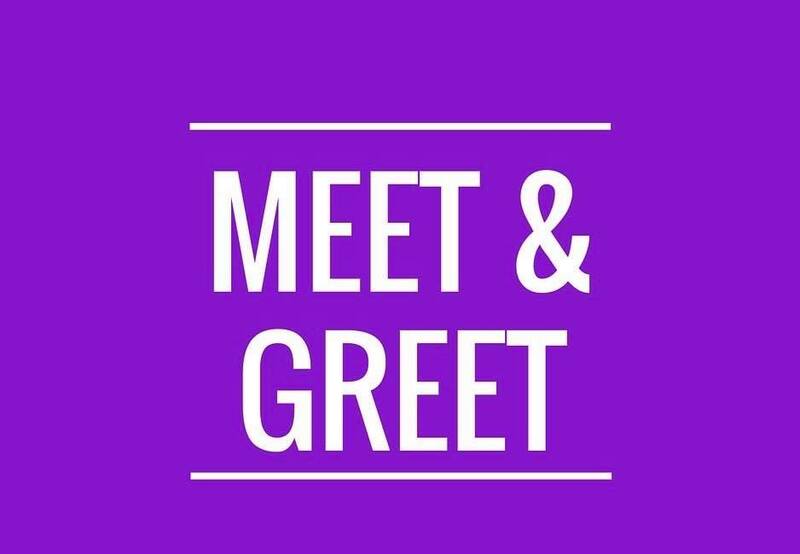 Something new I want to try out for 2019 is doing Neighborhood Meet & Greets throughout Ward 3. I need some residents who are willing to volunteer to host the meeting at their homes anytime this year that is convenient for them. The purpose of these meetings is to get to know me better as your Councilman, share ideas or concerns for the city/ward, and to get to know your neighbors a little better too. If you are interested in being a host home please email me at ward3@northroyalton.org or call me at 440-785-4240 for more information. Thank you for your help! City Council Streets, Storm Water, & Utilities Committee Meetings April 2nd at 6:00pm at City Hall. Click Here to view agendas. City Council Meeting April 2nd at 7:00pm at City Hall. Click Here to view agenda. North Royalton Family YMCA 4th Annual Easter Egg Hunt on April 7th from 2:00pm-4:00pm located at 11409 State Rd here in North Royalton. Call 440-230-9339 for more information. The Cleveland Water Department is hosting an informational meeting about the State Road Waterline Replacement Project between Castle Drive and Sprague Road on April 8th at 6:00pm at City Hall located at 14600 State Road. The North Royalton Kiwanis Easter Egg Hunt will be on April 14th at 1:00pm located at Memorial Park 14600 State Rd. Event will occur Rain or Shine. City Council Finance, Safety, and Building & Building Codes Committee Meetings April 16th at 6:00pm at City Hall. Click Here to view agendas. City Council Meeting April 16th at 7:00pm at City Hall. Click Here to view agenda. City of North Royalton Shred Day is April 20th from 9:00am to 12:00pm at North Royalton City Hall 14600 State Road. The event is a public service open to all North Royalton, non-business residents at no cost. 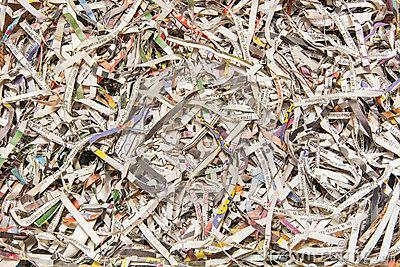 Shred your confidential documents safely and securely on site. There is no limit. Please bring proper identification indicating you are a North Royalton resident. Looking for something good to read to call your own? On the prowl to uncover that hidden literary gem? Join your friends, neighbors and other avid readers at the Spring Friends of the North Royalton Library Used Book Sale on April 13th from 9:00am-4:00pm at the North Royalton Branch Library located at 5071 Wallings Road. Enjoy a selection of books, audiobooks , music CDs and DVDs. 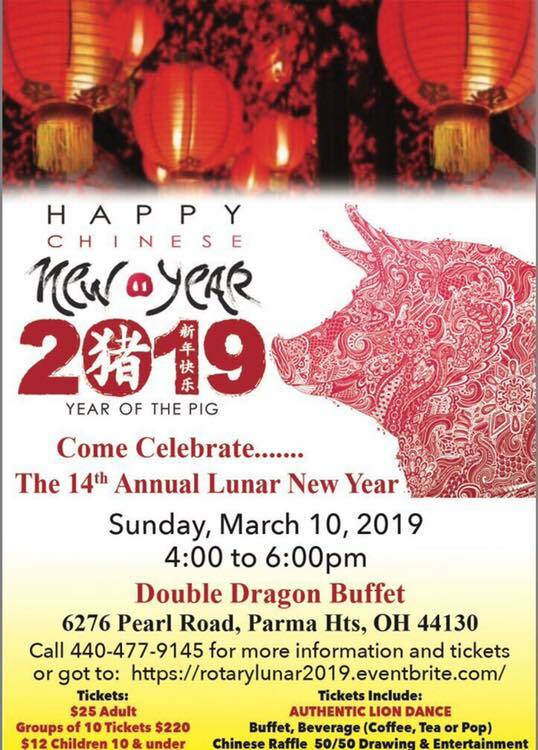 For more information, please call the branch at 440-237-3800. We are slowly getting closer to Spring. Today is Daylight Savings Time, as friendly reminder it might also be a good idea to check all batteries in the smoke detectors in your home to make sure they work. City government remains relatively busy with a number of things to report on below. 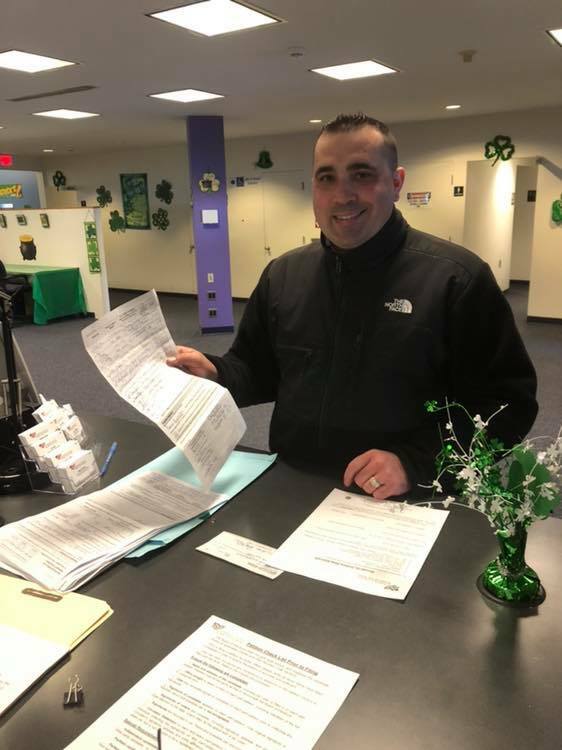 I have recently filed my petitions with the Cuyahoga County Board of Elections to seek re-election for a fourth term as your Ward 3 Councilman on the North Royalton City Council. I am happy to report that my petitions have been validated by the Board of Elections and I am officially on the ballot for the November 5th General Election! I look forward to going door to door very soon to listen to your concerns and feedback on what you want for the future of Ward 3 and the City of North Royalton! Have a great Weekend and an early Happy St. Patrick’s Day! Some highlights from the Council Meetings for the month of February. 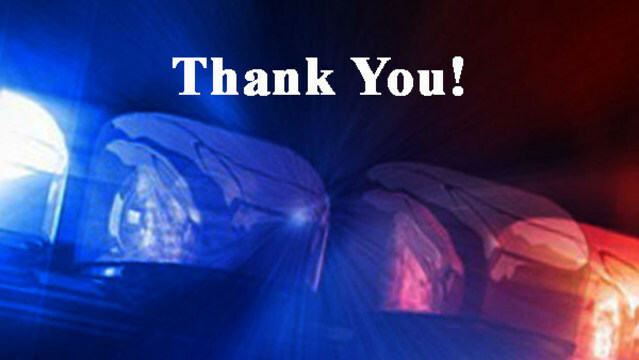 Council approved Ordinance 19-09 and Ordinance 19-10 to purchase vehicles for the Police Department. Council Also approved Ordinance 19-11 for a vehicle for the Fire Department. Council President Larry Antoskiewicz and I are co-sponsoring Ordinance 19-13 that would provide some basic regulations to short term rental properties in the city. I do not want homes becoming hotels in residential zoned areas but at the same time, want to protect homeowners’ rights to such rentals and do not want the city’s current short-term rental moratorium to be dragged any longer than it needs to be. The legislation is currently on third reading and in the Building & Building Codes Committee for further discussion. Read More. Recently the State Auditor Keith Faber visited our city and personally presented the City of North Royalton with the Auditor of State Award for its thorough and accurate financial record keeping. Special thanks to our Finance Director Eric Dean for all he does to ensure our city’s finances are in order! Read More. Cuyahoga County is in the process of upgrading the ReadyNotify System. To ensure you continue receiving notifications from the ReadyNotify System, you must RE-REGISTER at www.readynotify.us If you have any questions, please email: readynotifysupport@cuyahogacounty.us. or call 216-443-5700. Read More. Deer archery hunting season has ended with the total number of about 144 taken in North Royalton for 2018. Here in Ward 3 there were 15 deer that were taken. A positive statistic to note is in 2018 there were 51 deer related car crashes that were reported. This is a decrease from the 95 that that were reported in 2017. Overall the third year of this program went well with minimal issues. Work continues on widening of Route 82 between W. 130th Street and York Road. I have received some complaints last month about the center line being hard to see. Working with the County and Engineering Department they have re-stripe the center line of the road a few weeks ago to ensure motorist safety. The contractor has a standing order to re-stripe the center line as often as it is needed. Unfortunately, the weather has not always been cooperative. Weather too cold, or too wet, does not allow the paint to dispense or adhere. The replacement water main is approximately 75% installed and should be be completed by mid-March. Installation of the sanitary sewer extension across the street from the Service Center has been completed. Storm sewer work has begun and will continue over the winter months. The large storm culvert near the Service Center has been replaced, and the storm culvert west of Abbey Road is scheduled to be replaced soon. In order to minimize disruption to the traveling public, this work is anticipated to be performed at nighttime. Also beware of speed limit changes from 35mph to 25mph as well. The Cuyahoga County Public Works Department is responsible for construction of this project. Any questions should be directed to their field office in North Royalton at 440-628-9229. 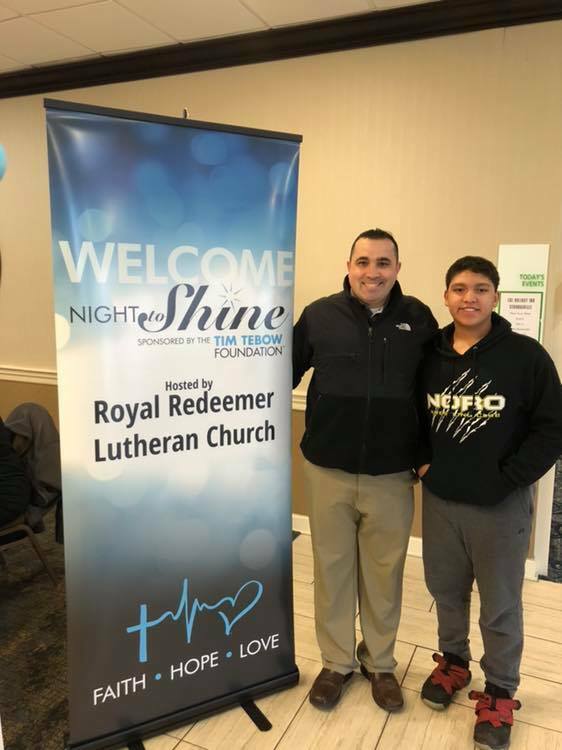 On February 8th my son Henry and I enjoyed volunteering a shift at the Night to Shine sponsored by the Tim Tebow Foundation hosted by Royal Redeemer Church at the Holiday Inn in Strongsville. We were paparazzi cheering on all the guest as they came on to the red carpet. It was also extra special to do this in honor of Henry’s late Great Uncle Tom who was developmentally disabled. Read More. 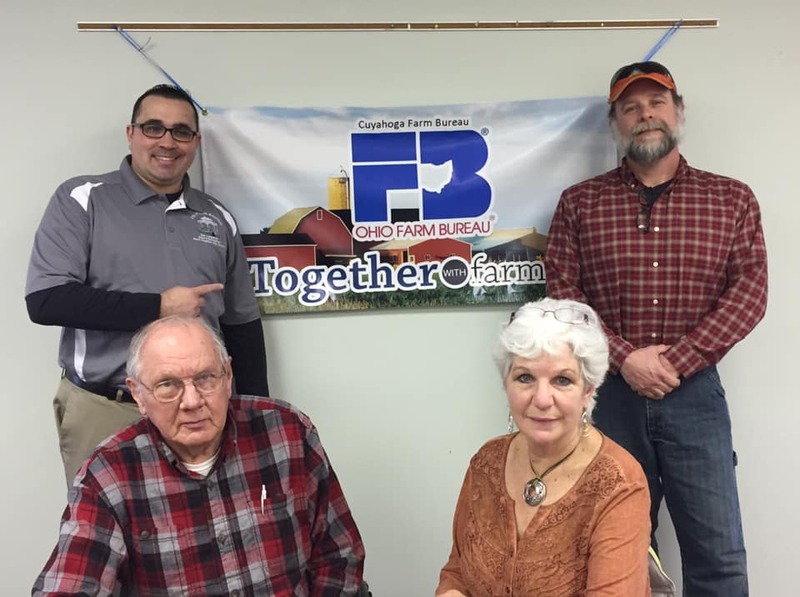 February 13th I had a great meeting with Director Anita Cook with the Cuyahoga County Farm Bureau and local North Royalton farmers to better understand their needs. Also was great to learn more about what the Cuyahoga County Farm Bureau and Ohio Farm Bureau do as well! On February 23rd it was great to attend Cub Scouts Pack 526 Blue & Gold Banquet at St Albert the Great Church. Congrats to all those honored with awards & to the Den for 58th Anniversary! Thank you to Troop 526 for all the great things you do for our community! 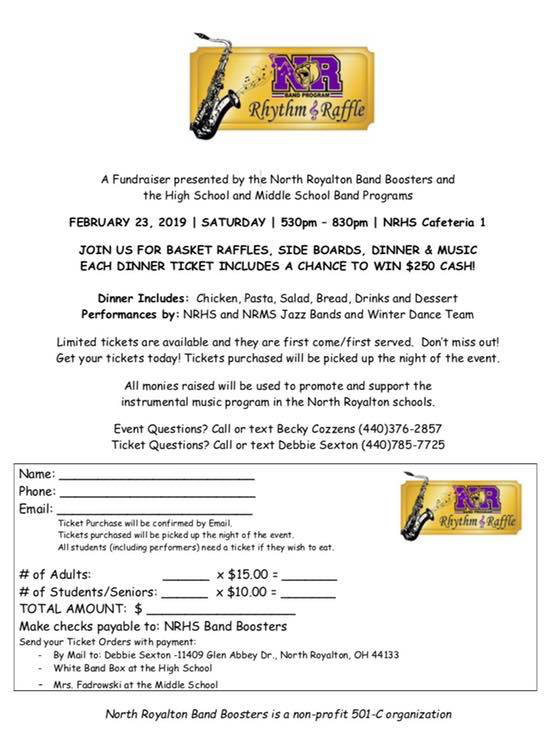 Also on February 23rd I attend the North Royalton High School Band Boosters Rhythm & Raffle. It was great to be a Bronze Sponsor for this fundraiser that helps support all the great opportunities our school system offers our kids! 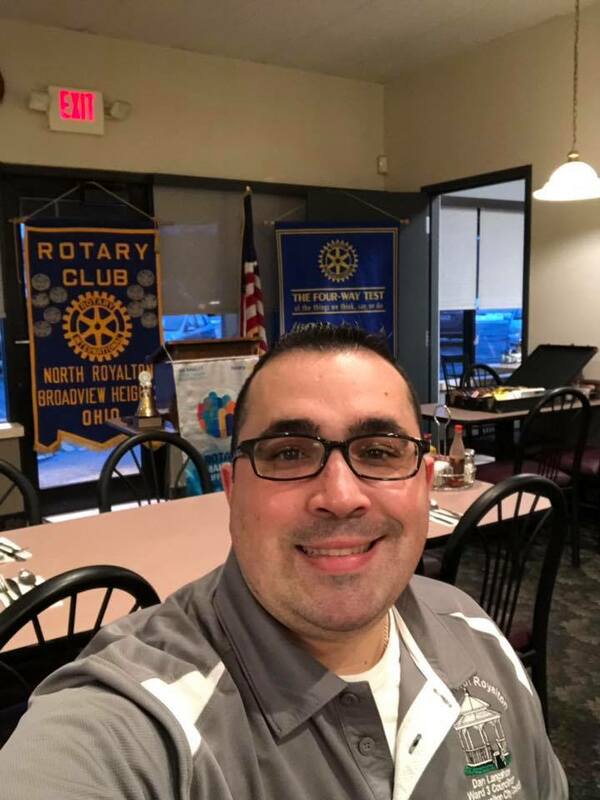 On February 26th attended the Annual North Royalton City School District State of the Schools in which Superintendent Greg Gurka gave an update on all the amazing things going on in our school system and an update on the construction beginning soon at the High School! As an alumnus, parent, and community leader I’m so proud that we have such a great school system for our kids here in North Royalton! Read More. On February 27th it was great to be a guest speaker at Valley Vista Elementary School for the entire 3rd grade! 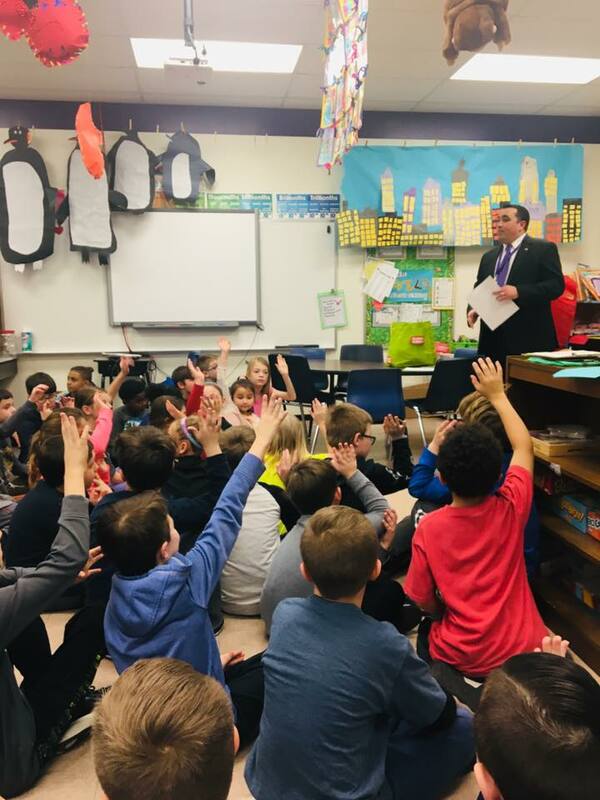 I enjoyed teaching the students about how local government works, the different branches of government, and U.S. Constitution. On February 28th it was great to be a local celebrity reader for Royal View Elementary School’s Fifth Annual Family Literacy Night. 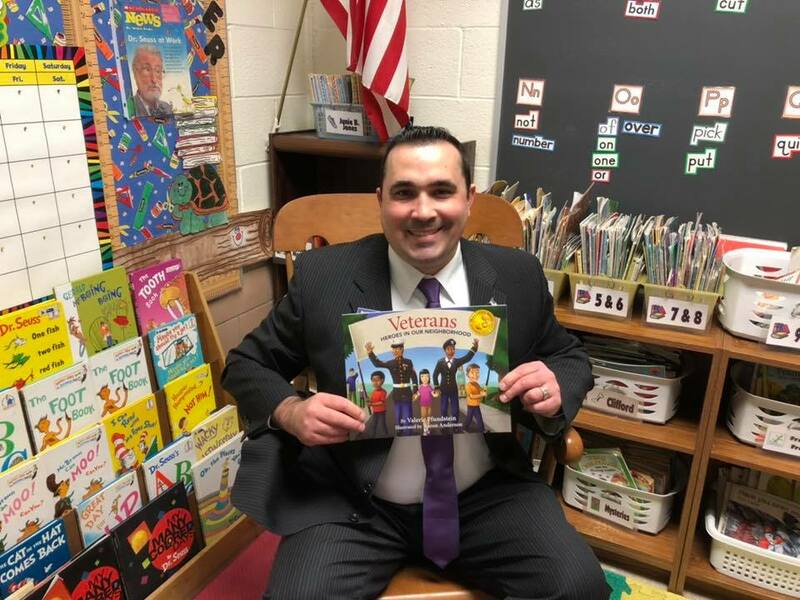 I had fun reading the book Veterans Heroes in Our Neighborhood by Valerie Pfundstein to the students. Special thanks to the Teachers and Staff at Royal View Elementary School for organizing this family fun event! The North Royalton Police Department has seen an increase in thefts of items from unlocked vehicles in recent days. Entry is gained into these vehicles by opening unlocked doors and gaining access to steal anything of value. Residents should try to park in well-lit areas and lock all vehicles when left unattended; please remove purses, wallets and anything of value. Most of these thefts are made when criminals sneak around and peek into car windows and open garages. 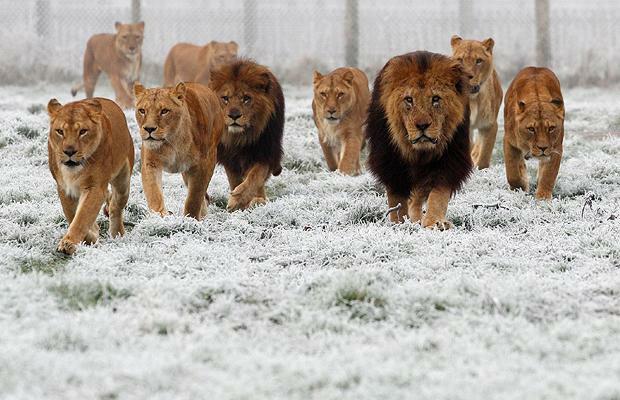 If they do not see anything good, they will move on to someone else’s property. 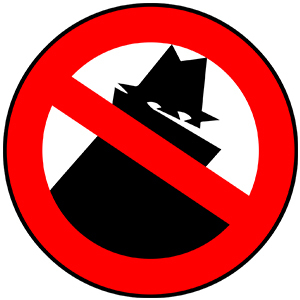 Call the North Royalton Police Department at 440-237-8686 if you see something or someone that looks suspicious. Did you know plastic bags are recyclable? Since our curbside recycling program does not accept plastic shopping bags, most people believe that they can’t be recycled at all. Thankfully, most people are mistaken. When dropped off at many local retail locations, such as Giant Eagle, Lowe’s, Marc’s. Target, Kohl’s and Walmart. Check with your local store to confirm the types of plastic bags and film they will accept as the list may vary. City Council Streets, Storm Water, & Utilities Committee Meetings March 5th at 6:00pm at City Hall. Click Here to view agendas. City Council Meeting March 5th at 7:00pm at City Hall. Click Here to view agenda. City Council Finance, Safety, and Building & Building Codes Committee Meetings March 19th at 6:00pm at City Hall. Click Here to view agendas. City Council Meeting March19th at 7:00pm at City Hall. Click Here to view agenda. Just a few quick updates regarding the winter storm hitting our area. 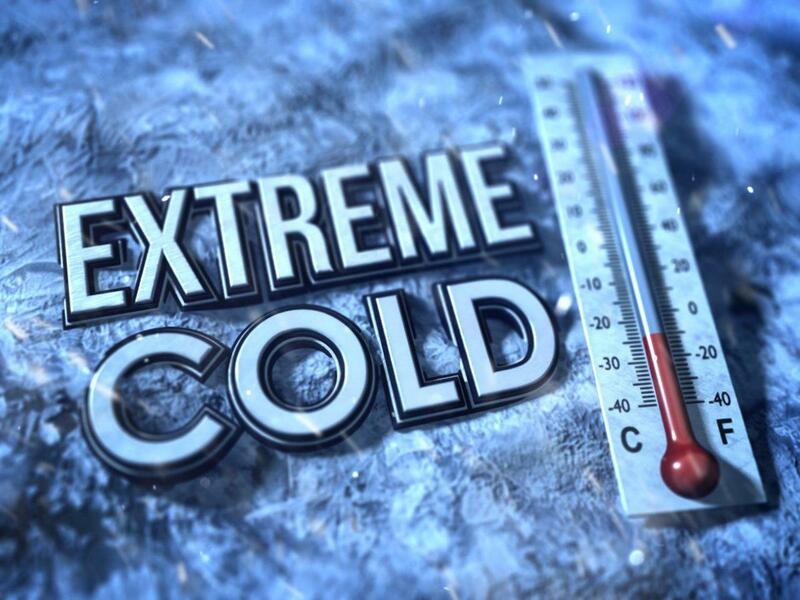 The National Weather Service is forecasting heavy snow this weekend. 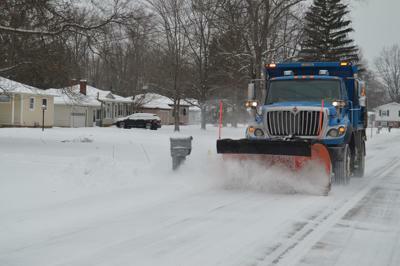 The city has crews working 24/7 to keep our roads clear and safe. Please be patience as crews clear the main and secondary roads first and then move on to the side streets, subdivisions and cul-de-sacs. On January 3rd I pulled my petitions from the Cuyahoga County Board of Elections to seek a fourth elected term on the North Royalton City Council. I want to continue my dedicated service to you my residents and provide trusted veteran leadership for the community on Council. I know there have been some rumors about me possibly running for Mayor or Council President the last few months I like to address. Serving as Mayor or Council President of North Royalton is something I definitely want to do in the near future and would be an honor. Seeking higher local elected office would allow me to help so many more residents and give me the ability to make an even greater difference for my home town. I appreciate all of you who have been urging me to run. However after meeting with my family over the holidays, some personal prayer, and self-reflection I am committed to continuing my service to you my residents as the Ward 3 Councilman. At this point in my life since my young family has grown recently with the addition of my youngest son Derek, my dedication to working to complete some unfinished projects/issues in our ward, and ensuring your voices are heard on Council remain my continued number one priority. Just not the right time yet. However I will reassess again in a few years. As a US Army Veteran service is something that is in my DNA. I truly love what I do! I also think 2020 will be a challenging transition year for our city with a new Mayor, Council President, and majority of Council. As a leader I believe my proven experience, dedication to service and leadership will be an asset to our community during this time! As I a leader I plan to step up to the challenge by hopefully being selected to serve as Council Pro Tem and help mentor the new members of Council with my experience, so together we all can provide great service to our community. The Council Pro Tem position fills in for the Council President when they are absent and is voted on by the new council once they are seated in 2020. Read More. Over the next several months I will be going door to door throughout our entire ward to meet with residents. I look forward to hearing what concerns or suggestions you may have regarding our ward and city’s future to come. See you soon! Some highlights from the Council Meetings for the month of December. Council passed Resolution 18-124 a resolution strongly urging the Ohio General Assembly to pass Senate Bill 17 and restore back local government funding to municipalities throughout Ohio. Council also approved Ordinance 18-126 approving the Mayor’s appointment of Mark Smith to serve as the new Wastewater Superintendent for the City of North Royalton. Read More. 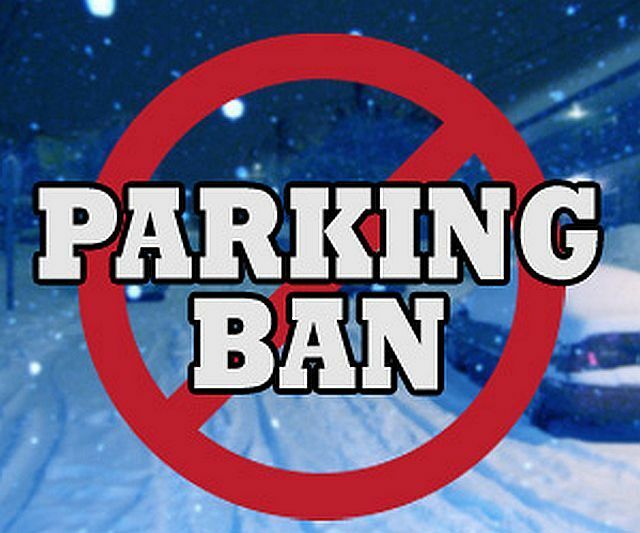 Council approved Ordinance 18-129 amending the city’s parking ordinance to limit vehicles being parked on a tree lawn or front yard lawn for more than 24 hours. Read More. Council approved Ordinance 18-135 authoring the Mayor to enter into a lease agreement to purchase radios for the Police Department. Council approved Ordinance 18-138 authorizing the Mayor to enter into an agreement with Senior Transportation Connection. City Council has recently approved the 2019 City Budget. The budget is extremely conservative and solid balanced budget. 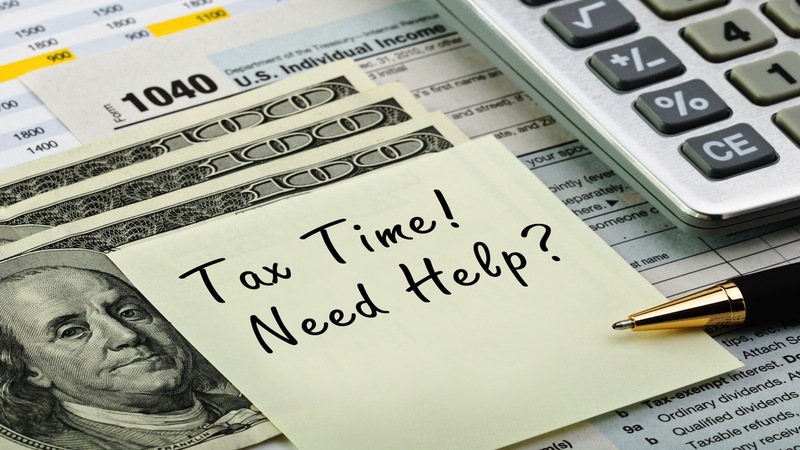 While dealing with an estimated $900,000 in additional state funding cuts and an economic forecast of a 0.19% decrease in income tax revenue for 2019. As such I do plan to travel to Columbus in the next few months to testify before the Ohio General Assembly to urge them to restore local government funding cuts and invest more funding into repairing our aging infrastructure as well with the next biennium State Budget. The widening of Route 82 between W. 130th Street and York Road is underway. The contractor for this project, DiGioia Suburban Excavating of North Royalton. OH, has begun to place the temporary pavement along the north side of Royalton Road. This will allow for the shifting of two-way traffic to the north and allow for the widening on the south side to begin. A detour is in place so please follow this detour to avoid traffic delays during construction. The contractor will be working on the large storm culvert just east of Olesia’s Place first, and then proceed to replace the storm sewer system and water main along the project corridor. Expect delays during construction s this is a major widening project anticipated to last until July 2021. Also beware of speed limit changes from 35mph to 25mph as well. 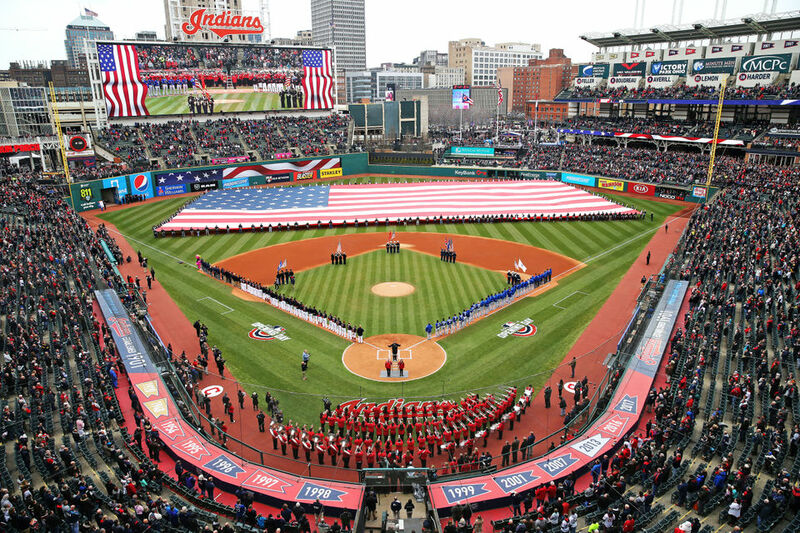 The Cuyahoga County Public Works Department is responsible for construction of this project. Any questions should be directed to their field office in North Royalton at 440-628-9229. The anticipated completion is July 2021. 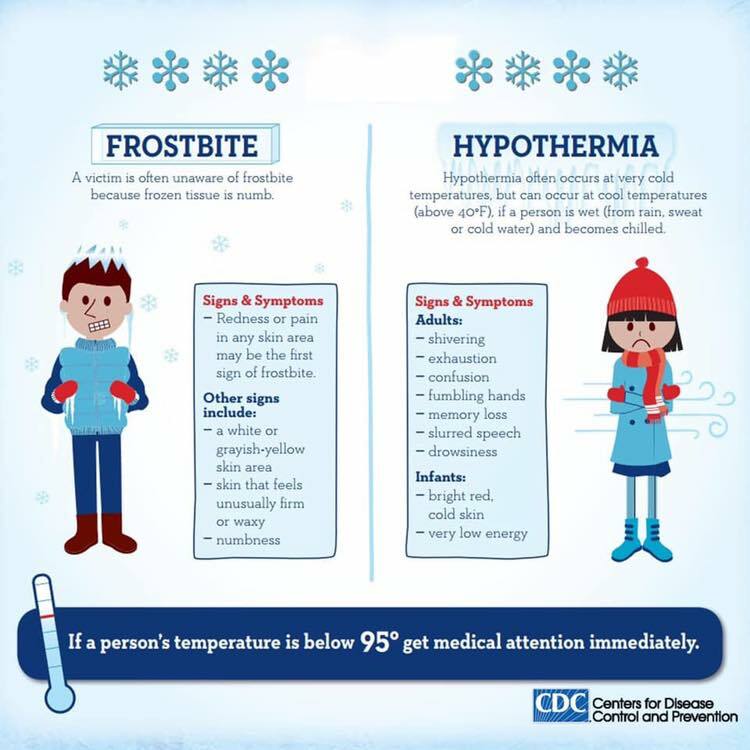 This includes work during two consecutive winter seasons. The City understands that this is going to be a major inconvenience. Please be patient as this long anticipated road project gets completed in Ward 3 and the City of North Royalton. Read More. 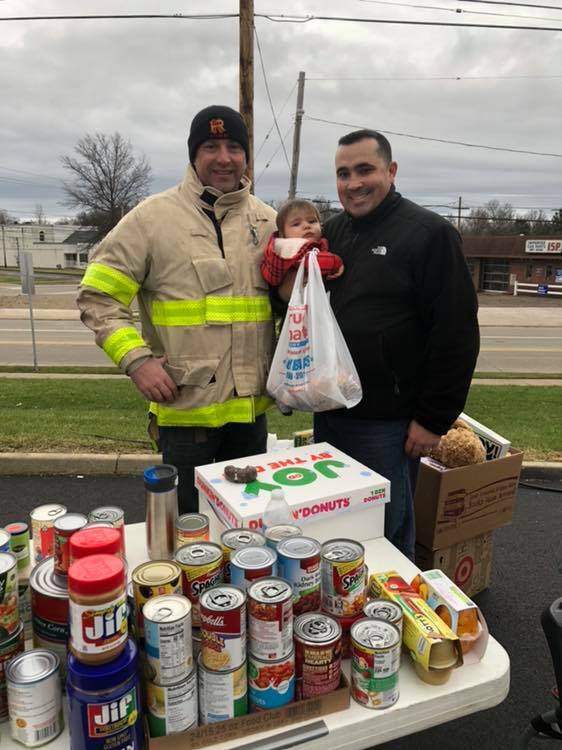 On December 15th my son Derek and I had so much fun supporting the North Royalton Fire Department with their Stuff the Squad at Discount Drug Mart in helping families in need in our community and area this Christmas! Special thanks to Chief Chegan, the entire North Royalton Fire Department, and other Neighboring Departments sponsoring this event! Read More. On December 14th participated in the 2nd Annual Hometown Holiday Christmas Walk. Special thanks to Holistic Halo Salt Spa, Royalton Gifts Special Retail Shoppe, Madelyn Rose, Generations, and It’s So You Salon fro sponsoring this fun family friendly event. 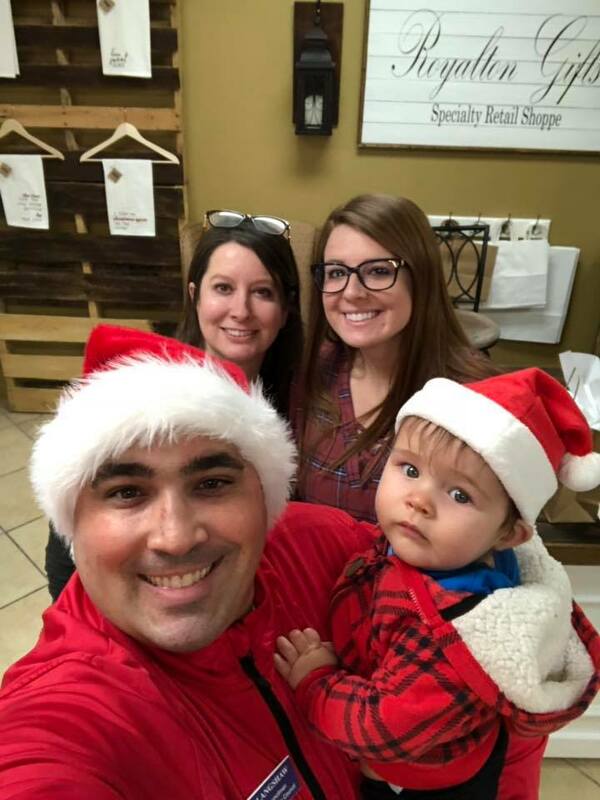 Also my son Derek and I had a fun time shopping at these local businesses for some gifts for the family too for Christmas! 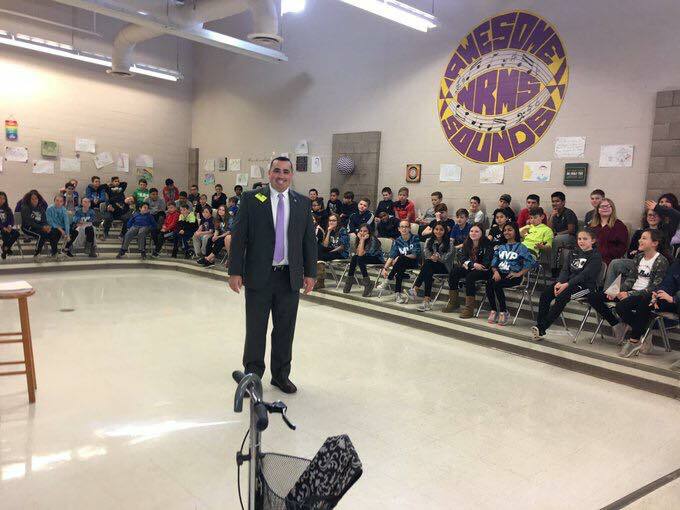 On December 14th I was a guest speaker for the North Royalton Middle School 6th Grade MVP Team. I enjoyed teaching the students about local government, city history, & the importance of helping others. Also every student got a pocket US Constitution donated by me. Special thank you to Mrs Vadini for the invite! 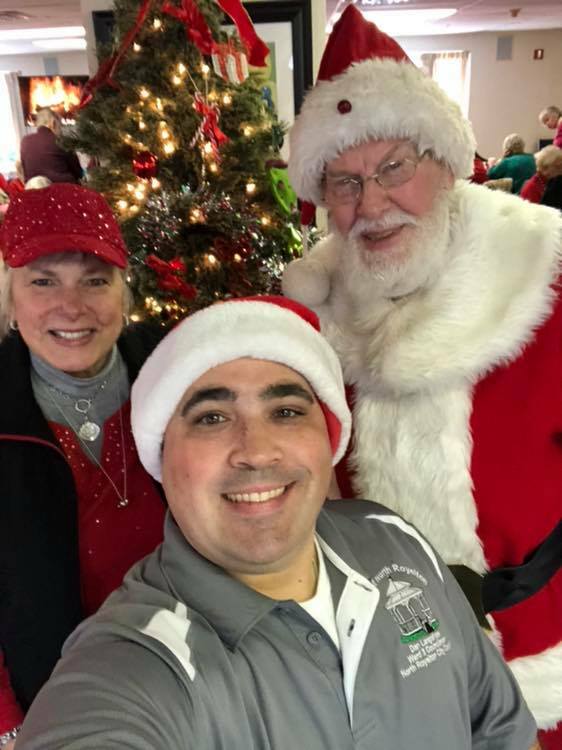 On December 10th it was great to attend the North Royalton Senior Center Christmas Party! Also great to see Santa Claus too! The North Royalton Planning Commission has recently approved site plans which include two additions on the Shearer Equipment building for new tenants and razing the building that houses Olesia’s Place and the home next door to make way for a multi-tenant building as part of the new 82 Biz Plex here in Ward 3. The proposal for this future 82 Biz Plex also includes razing the building in front of Shearer where Olesia’s Place is located and the home next door to construct a new, single-story freestanding building, 11,520 square feet in size, that can accommodate up to eight new tenants, also for office/light industrial. A new driveway will be installed where the home is currently. The Planning Commission also approved consolidating all three parcels into one. Construction to begin in 2019. As a result the restaurant Olesia’s Place will be relocating to the former Taverne of Richfield in the summer. It’s great to see some re-development in this part of Ward 3 but I am sad see Olesia’s Place go but wish them all the best. Read More. Thank you to all those who participated in the First Annual Ward 3 Neighborhood Holiday Lighting Contest! Special thank you to Firehouse Sports Bar & Grille and Holistic Hallo Salta Spa for donating prizes! Listed below are all the winners. Congrats to 8208 Washington Ave the Sherry Family for being the winners of the 2018 North Royalton Ward 3 Neighborhood Holiday Lighting Contest for the Clark W Griswold Category. 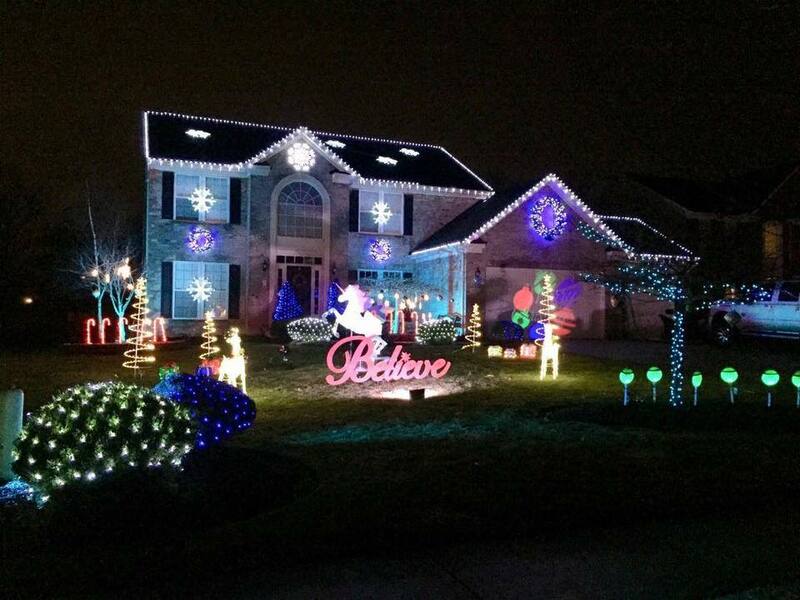 Their light display you can see from outer space and would make the famous Griswold Family jealous! They win a $25 Firehouse Sports Bar & Grill Gift Certificate. Congrats to 11357 Worthington Way the Whiteman Family for being the winners of the 2018 North Royalton Ward 3 Neighborhood Holiday Lighting Contest for the Best Holiday Spirit Category. Their light display truly captures the classic holiday spirit! They win a $50 VISA Gift Card. Congrats! 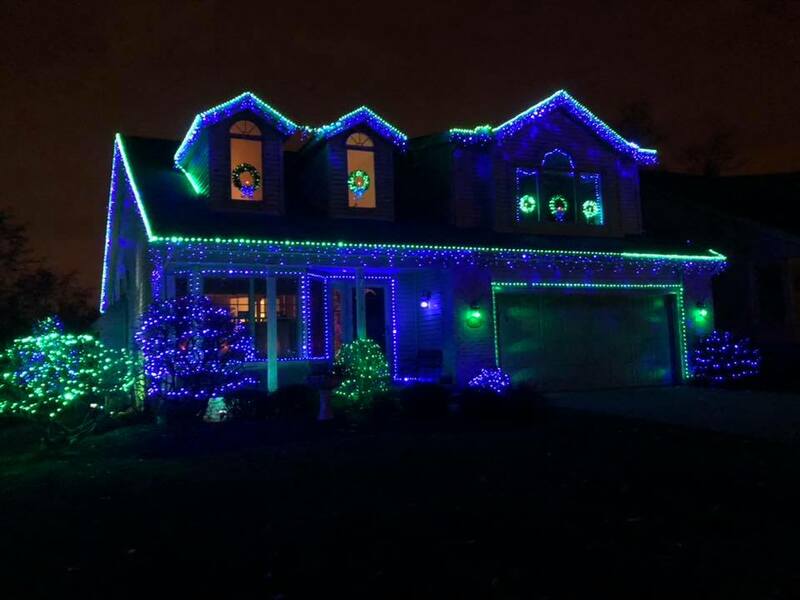 Congrats to 6195 Castle Dr. the Kukla Family for being the winners of the 2018 North Royalton Ward 3 Neighborhood Holiday Lighting Contest for most LIKES on Facebook with over 75 LIKES being the Resident’s Choice for Best Holiday Lighting Display! They win a $25 VISA Gift Card and a FREE Salt Spa Room Session ($40 value) at the Holistic Halo Salt Spa. Congrats! Do not place holiday lights (tanglers) in your curbside recycling. Tanglers, including holiday lights and power cords, cannot be recycled in your home recycling bin and will cause problems and shut-downs at the local recycling facility. During the Christmas season, retailers including Home Depot and Lowe’s Home Improvement have collection bins for holiday lights. Check at your local store. Christmas Light Source and HolidayLEDs also offer recycling and rebate programs for strings of lights. The Cleveland Metroparks Zoo collects Lights for Lions to support lion and cheetah conservation efforts. Drop off bins are inside the Zoo gates from January 1st-February 15th. Recycle your broken, burned out strings of lights, power strips and power cords during the District’s holiday lights recycling program. The Solid Waste District accepts strands of lights (holiday lights and other strands) at its facility located at 4750 East 131 Street in Garfield Heights. Drop off in our lobby during business hours M-F 8:30am-4:30pm. The recycling program runs December 1st-January 15th. No bags or boxes in the recycling bin, please. Place items loose in our lobby drop box and take all bags, boxes and containers home with you. Artificial trees, solar lights and outdoor spotlights are not accepted. Materials collected are recycled by a local Cleveland company. City Council Streets, Storm Water, & Utilities Committee Meetings January 2nd at 6:00pm at City Hall. Click Here to view agendas. City Council Meeting January 2nd at 7:00pm at City Hall. Click Here to view agenda. City Council Finance, Safety, and Building & Building Codes Committee Meetings January 15th at 6:00pm at City Hall. Click Here to view agendas. City Council Meeting January 15th at 7:00pm at City Hall. Click Here to view agenda. 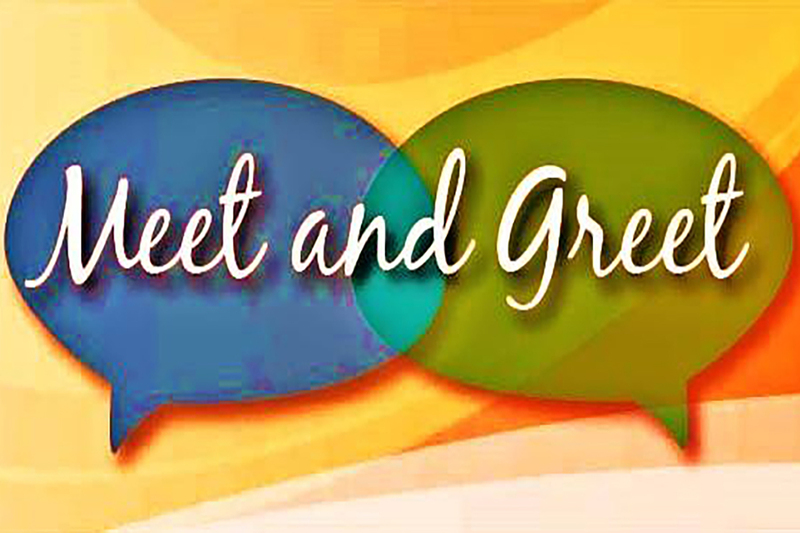 The North Royalton City School District will be hosting a Community Meeting on February 26th at 7:00pm at high school’s center of performing art at 14713 Ridge Road. During the meeting Superintendent Greg Gurka will give his annual State of the Schools address as well as an in-depth update on building projects. Read More. 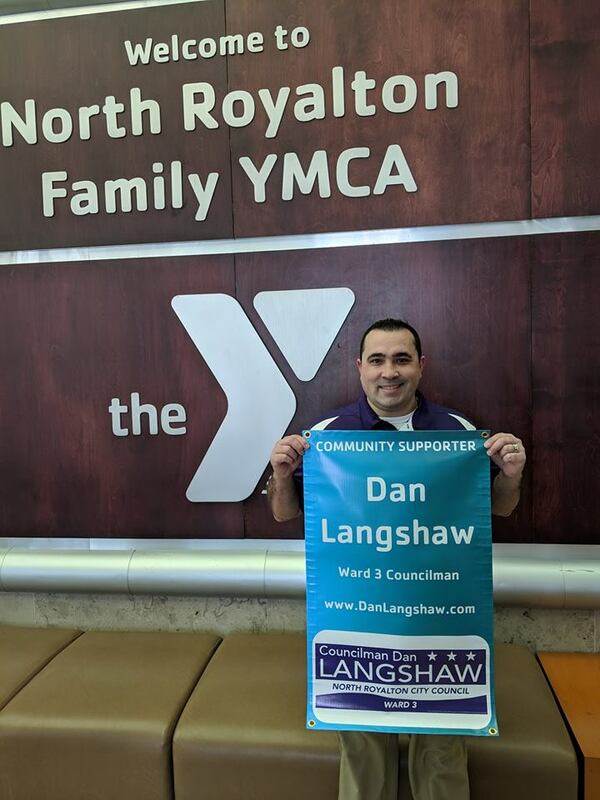 (North Royalton, Ohio)— Ward 3 Councilman Dan Langshaw has been rumored for months about a possible run for North Royalton Mayor or Council President. Langshaw 33 years old is one of the few current city elected officials who have successfully won citywide office before. In 2009, at the age of 23 he became the youngest resident in city history to be elected and serve on the North Royalton School Board. Langshaw served on the Board till 2013 and then has been the Ward 3 Councilman ever since. 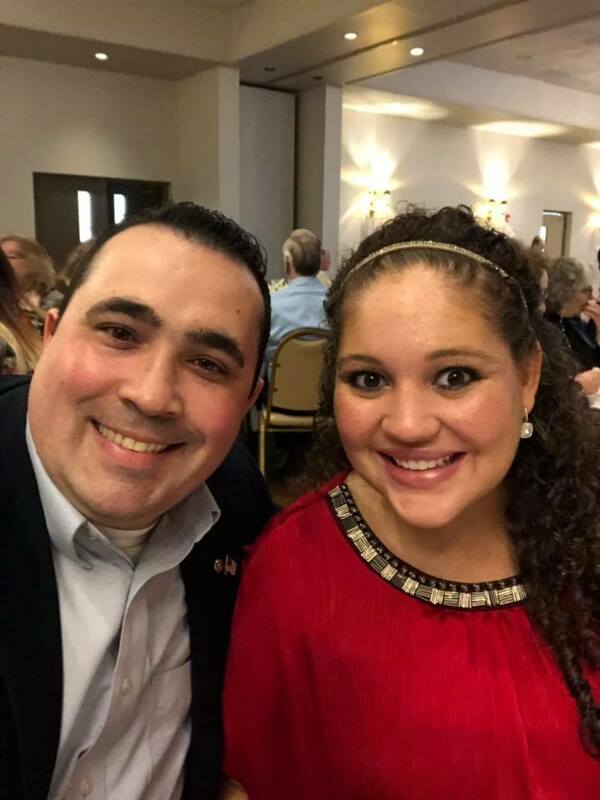 On January 3rd Councilman Langshaw ended all the rumors with officially pulling his petitions at the Cuyahoga County Board of Elections to seek a fourth elected term on the North Royalton City Council for Ward 3 to continue his dedicated service to his residents and provide trusted veteran leadership for the community on Council. A majority of City Council will be termed out of office. Langshaw plans to seek the Council Pro Tem position which is voted on by the new council once they are seated. The Council Pro Tem fills in for the Council President when they are absent. “As a US Army Veteran service is something that is in my DNA. 2020 will be a challenging transition year for our city. As a leader I believe my proven experience, dedication to service and leadership will be an asset to our community! As I a leader I plan to step up to the challenge by hopefully being selected to serve as Council Pro Tem and help mentor the new members of Council with my experience, so together we all can provide great service to our community” said Langshaw. Thank to Firehouse Sports Bar & Grille and Holistic Hallo Salta Spa for donating prizes! Thank you to all those who participated! Below are 2018 North Royalton Ward 3 Neighborhood Holiday Lighting Contest Winners! Hope everyone is having a great Christmas and Holiday Season! Just a quick update on a few items below. Trash & Recycling Service will NOT occur on Tuesday, December 25th. Service will be delayed one day during the rest of the week (Tuesday will move to Wednesday; Wednesday will move to Thursday; Thursday will move to Friday; and Friday will move to Saturday). Trash & Recycling Service will NOT occur on Tuesday, January 1st. Service will be delayed one day during the rest of the week (Tuesday will move to Wednesday; Wednesday will move to Thursday; Thursday will move to Friday; and Friday will move to Saturday). 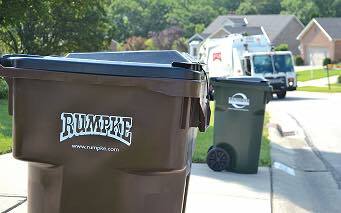 Rumpke will return to its regular collection schedule the following week. Click HERE to view Rumpke’s holiday schedule to see a complete list of days that impact your service. The City Recycling Yard will be open both Saturday December 22nd and Saturday December 29th from 8am-3pm. Congrats to 11357 Worthington Way the Whiteman Family for being the winners of the 2018 North Royalton Ward 3 Neighborhood Holiday Lighting Contest for the Best Holiday Spirt Category. Their light display truly captures the classic holiday spirit! They win a $50 VISA Gift Card. Congrats! Congrats to all the winners! Thank to Firehouse Sports Bar & Grille and Holistic Hallo Salta Spa for donating prizes! Thank you to all those who participated! Remember the Facebook Contest is still going on and you can vote on my Facebook page at https://www.facebook.com/DanLangshawNR till December 29th. Facebook winner will be announced on December 30th. I hope everyone had a great Thanksgiving with their family and friends! About 21 more days till Christmas! As we approach the end of 2018, things remain relatively busy in City Government with much to update you on below. Two quick things before I get into my update that I like to bring to your attention. President Donald Trump has declared tomorrow Wednesday December 4th a National Day of Mourning in honor of the late President George Herbert Walker Bush, the 41st president of the United States who died November 30th. 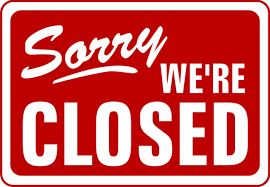 Please be aware that all federal offices, some banks and courts will be closed.The United States Postal Service will suspend regular mail deliveries, retail services and administrative office activity. 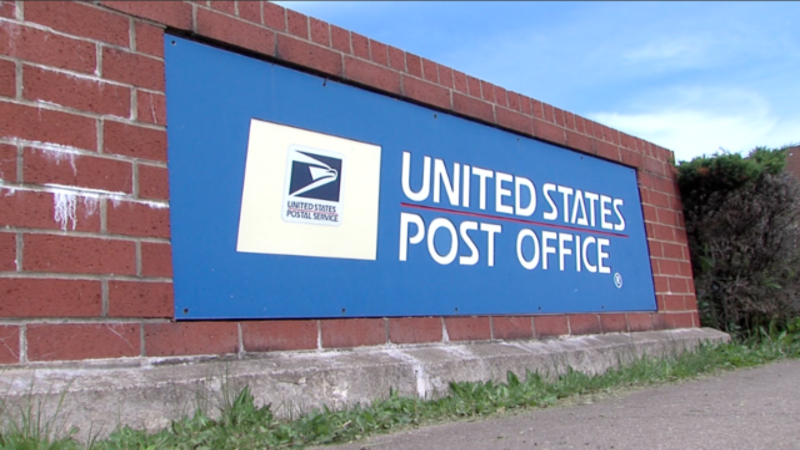 The Postal Service will provide limited package delivery service on that day to ensure that the network remains fluid. I invite all Ward 3 residents to participate in the First Annual Ward 3 Neighborhood Holiday Lighting Contest. CLICK HERE to watch contest video for details. 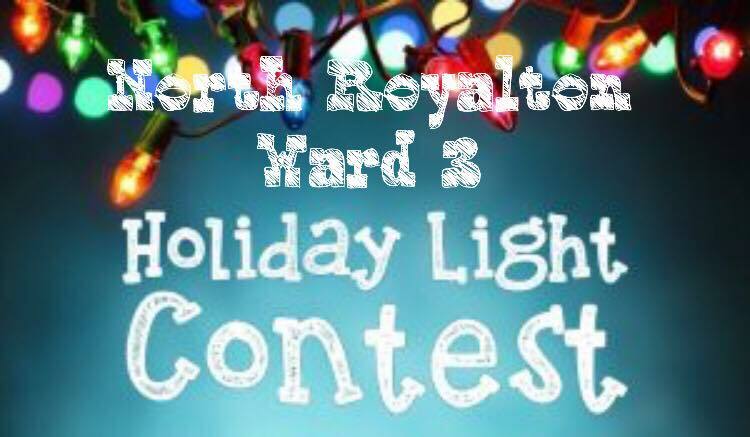 The purpose of the contest is to stimulate and enhance a sense of community by rewarding North Royalton Ward 3 residents that go above-and-beyond in decorating their home for the winter holiday season. 1. Entry is FREE, no cost or fees apply. 2. Participation is open only to North Royalton Ward 3 Residents. 3. Decorations must be visible from the street only for judging. 4. Last day to submit online entry form is Saturday, December 22nd, 2018. 5. Decorations for the contest must be available and lit up on December 23rd between the hours of 6:00pm and 9:00pm for judging. 6. Contest winners will be announced on December 24th. 7. All participants agree to have one or more photos of their decorated residence exterior posted on Councilman Dan Langshaw’s Facebook page, Twitter, website, and E-Newsletter. Participants agree there will be no compensation of any kind for said postings or publication. 8. In addition, there will be a Facebook contest for those who submit a photo and address for residents to vote on. Facebook contest Winner will be announced on December 30th. Best Holiday Spirit- Light display that truly captures the classic holiday spirit! Clark W. Griswold – The display you can see from outer space! 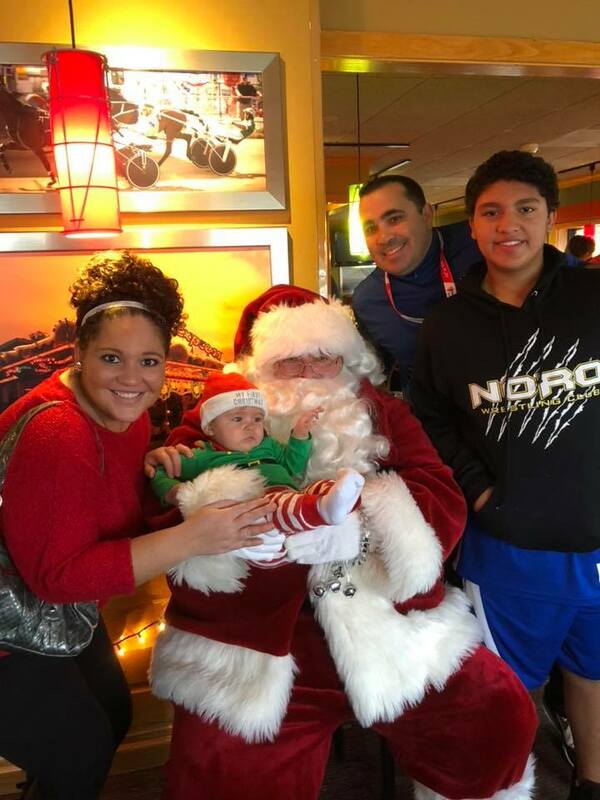 Have a Merry Christmas and Happy New Year from my family to yours!